Ok, my brisket is at 188 in the flat. I know not supposed to cook to temp. Need some help on fork test. Temp probe slides in and out of brisket very easily. 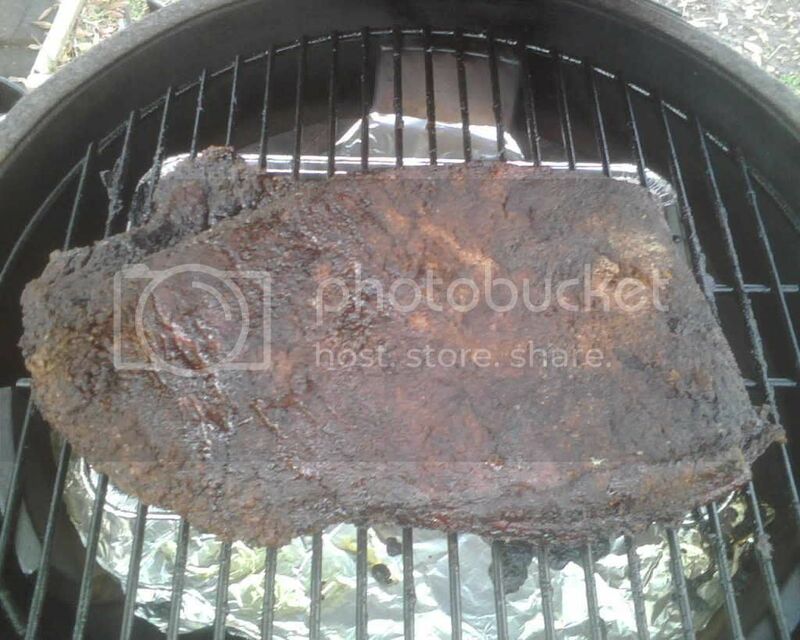 But when i put fork in there is resistance as it goes through the bark and once in meat does not just flake off. What should I be looking for? If the probe goes in with little resistance in many places it is probably done. The fork test is one of those "experience" sort of things, you just get a feel for it. I recommend people use the fork when the brisket is under 160&deg to get a feel for tough, and then test it every 5-10 degrees until 185 - you'll know when it gets to the appropriate level of tender. FWIW - you don't want flaking in a brisket - you want the slices to be across the grain but you want them to hold together. If it gets to the flaking stage a lot of times it will be overdone and dry. Brisket it tricky it goes from tough and dry to perfect to overdone and dry in just a few degrees, and they are all different. Thanks for the quick response Fidel. I pulled the brisket off. I will let it rest for 15 minutes then I plan to separate the point and put it back on for burnt ends. Flat goes back to the cooler to wait for beginning of game.